and provide some sense of closure. 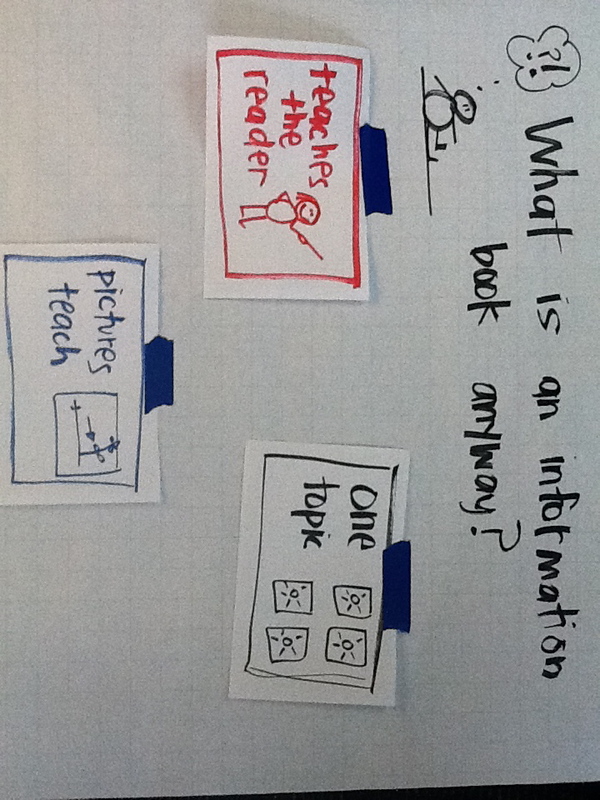 This chart can be made with your students after reading a few samples of information books. You might even read a fictional book about a topic, for example any of the Froggy series by Jonathan London, and follow with a non-fiction book on frogs. 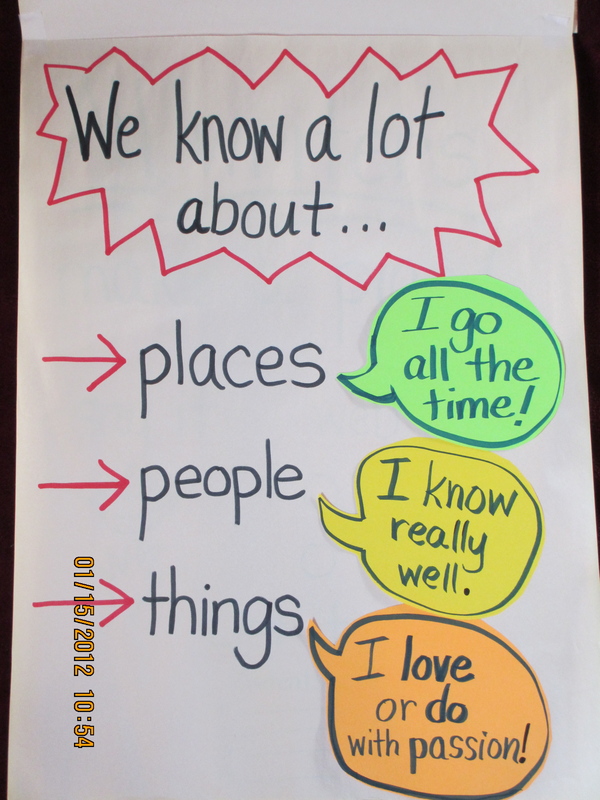 When made together, this chart can serve as a touchstone all unit long for writers. It can also grow and change as children’s understanding of the genre becomes more sophisticated. 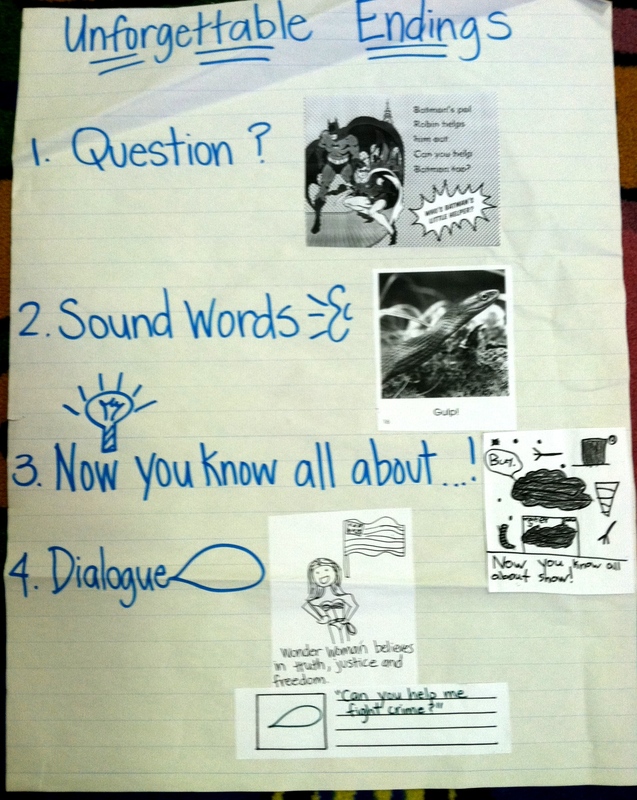 This generating topics chart builds upon strategies learned in earlier units. Then comes rehearsing and planning how your book might sound and go. 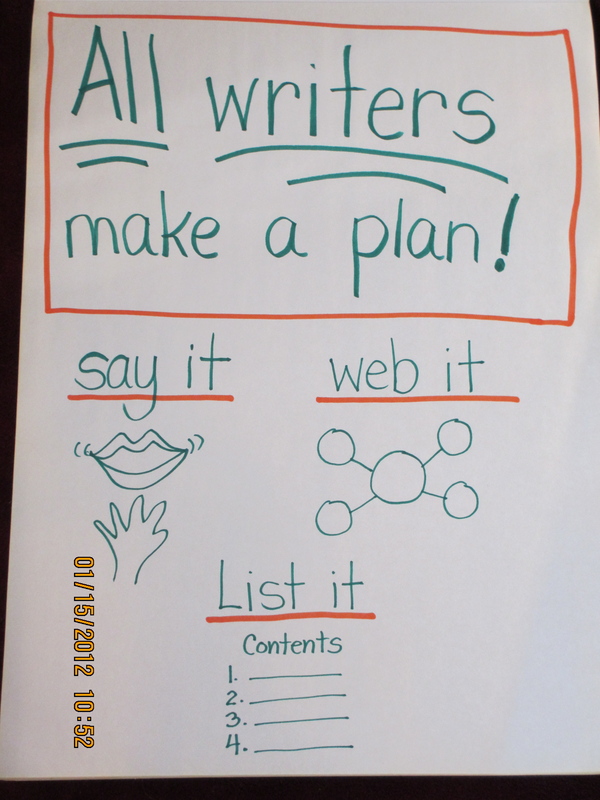 The planning chart below emphasizes that all writers plan, but there are a few different ways each writer may choose to plan. It also invites children to try more than one way to plan, encouraging independence. 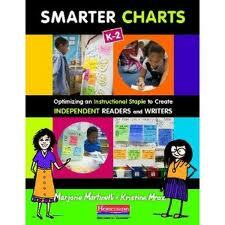 As with many of the charts we post here on chart chums, you can see Rosie’s use of mentor texts right on her chart. 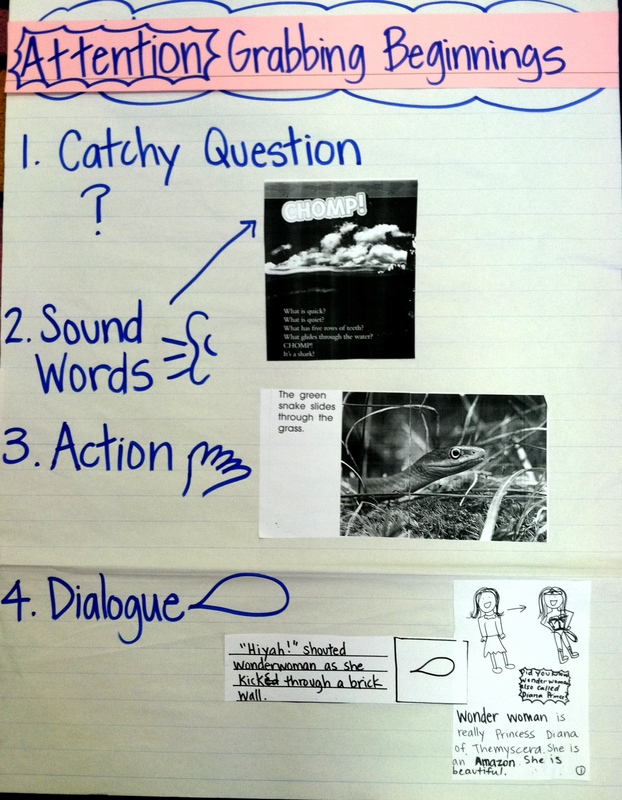 This, as we have mentioned before, is a powerful way to help writers learn how to use mentor texts, but also help the concepts “stick” since they are texts the children know well. Karin, very wisely, first assessed her writers using the rubrics from the Teachers College Reading and Writing Project performance assessment (available at the same website above) and made a kid friendly version with samples. 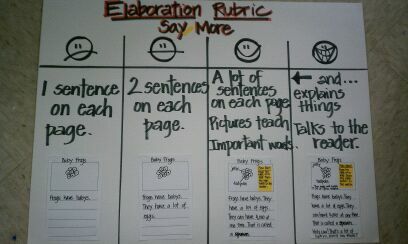 This way children can self assess their writing and use the rubric to become stronger non-fiction writers across the unit. Again, Rosie uses mentor texts and some of her own writing to help writers envision how this work could look in their own books. 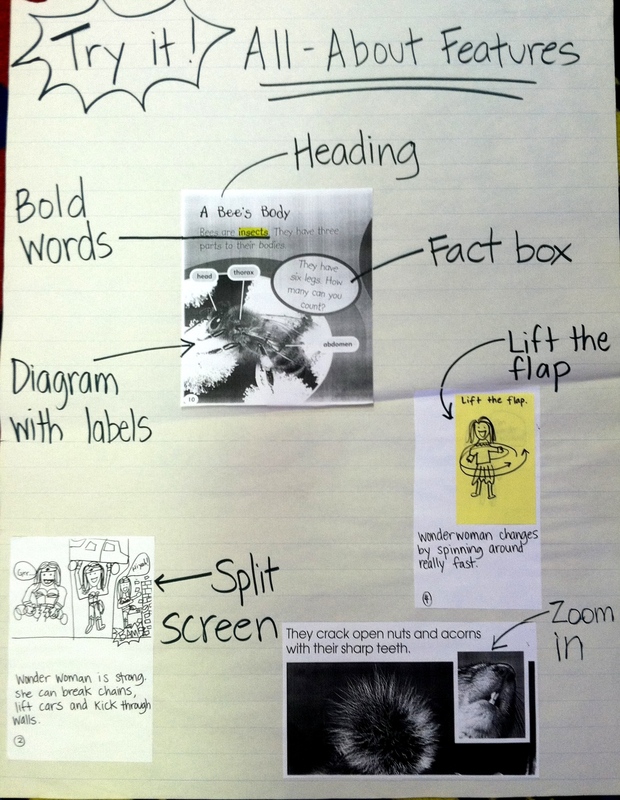 The annotations name the features being illustrated which introduces specific vocabulary that can be used by the students as they talk about the craft moves they are trying or wanting to try when writing their books. 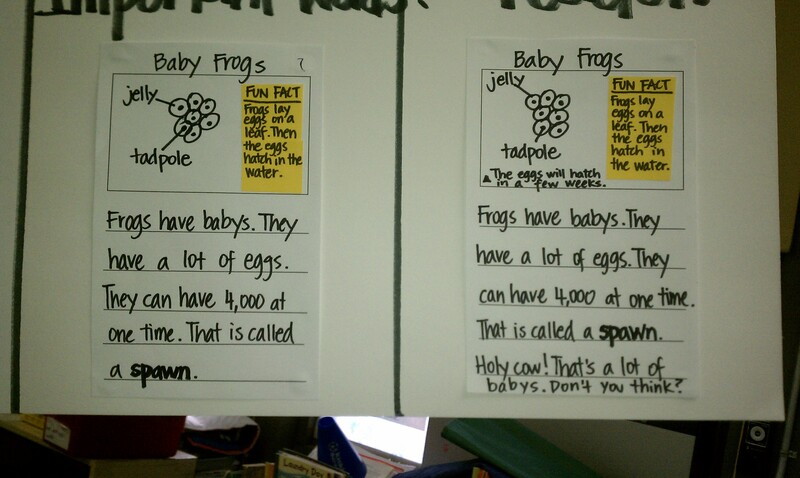 The above chart is again from Rosie Young’s classroom and illustrates a similar type of chart as her introduction one. Most importantly there are options for writers to choose from and samples from published texts and class texts. Remember, a picture is worth a thousand words. We hope this helps you as you and your colleagues work to incorporate these new standards into your daily practice. I love your blog and great ideas. Do you ever come to Wisconsin to do workshops? I love your ideas! 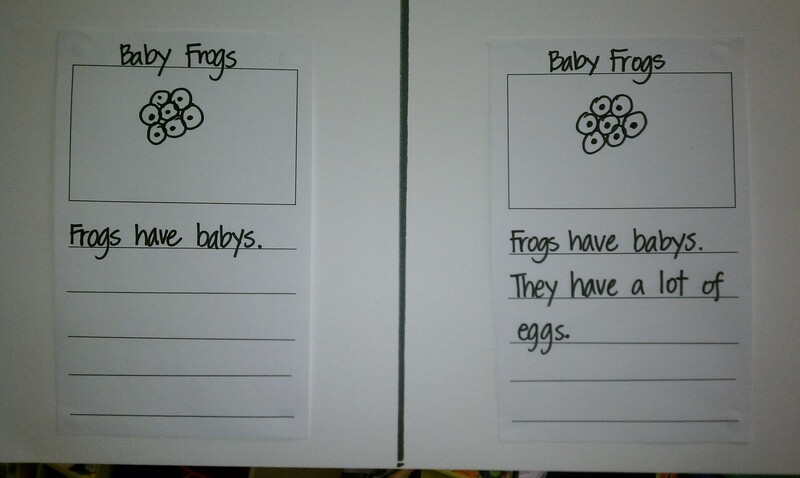 I just finished up my non-fiction writing unit. I will save these fabulous ideas for next year.